We always make payment procedures, as easy as we can do to our customers. You can make payments in USD cash, TC or by credit cards (we accept all major credit cards). For the reservation or advance booking, you can wire deposit in our company bank account or can fill up the authorization form for the payment by credit card with all details and scan it and send it to us via email. As per our company’s rules to confirm the tour on definite basis we request 20% of tour deposit in advance of the total amount which is non-refundable as security to make the arrangements. We confirm your reservation on receipt of 20% advance deposit. Deposit can be remitted by card or by telegraphic transfer. Balance payment we will collect upon our arrival in Kathmandu prior to your trip departure. Balance payment is preferred either by cash dollars, or equivalent in Euro cash. We do accept credit card but there will be 4% additional bank service charge for master of Visa Card. You may use any of the following bank account in order to deposit the advance payment. Telegraphic transfer to Nepal Trek Ways (fund transfer in convertible currency only). Beneficiary : Nepal Trek Ways Pvt Ltd.
Bank Address : Durbar Square Area, Khauma-15, Bhaktapur Branch. 1. Please ask your bank to advise payment to bank by authenticated SWIFT or Tested Telex message. Use the bank above with correct company address. 2. During transfer, the transfer service charges are sender’s responsibility, please make sure we could receive the actual amount invoiced with your bank. Please note that if your bank don’t have direct connection with our bank then there might involve more bank commission which might deduct from the amount which you have deposited. So, please check with your bank and remit the payment accordingly. NOTE: Please scan the bank transfer copy and send it via email after payment transfer has been made. In addition, payment can be made by Credit Card as well. If you would like to make the payment by Credit Card; please click here http://www.allnepal.com/aboutus/payment_credit.php . Fill the form in details; scan it and email to us. For the payment we accept all major Credit or Debit cards, (Visa, Master Card), and 4% extra will be levied to you as credit card processing fee for Master Card and Visa Card. 2. Final payment to be paid after arrival in Nepal at office. 4. Group leaders travel free for groups of minimum 15 paying or more i.e. the 16 people will be free. 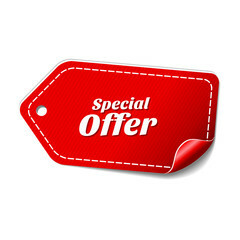 But we will provide 50% discount for a group of minimum 10 paying i.e. the 11 people will get 50% discount. (Flights, Government fees, permits, entrance fee etc. not included). We are committed to providing the best services which will give you a once in a life time journey in this connection, we perform our duties honestly and seriously to make your journey very smooth and pleasant. However, the entire programs are conducted strictly under the rules and regulation of the country’s own policies. Therefore Nepal Trek Ways shall not be responsible for any changes in the itinerary due to unavoidable circumstance such as govt. restriction, land slide, road blockage, flood, snow political unrest, cancellation of flight, delay, sickness or accident, Any extra cost incurring there of shall be borne by the clients on the spots. Should you voluntarily change your plans after the trip has begun, Nepal Trek Ways is not responsible for any additional charges. You will not be refunded for an unused part of the Adventure Access package. Our staff will assist you if possible but you must make these arrangements yourself. On trek, if the guide decides you must go to a lower altitude, or if you do not want to continue, we will arrange evacuation. If you walk out, we will provide a staff to accompany you, but you must pay for your own accommodation and food, once you have left the group. In serious cases, we will send or call a helicopter, for which you will have to pay in Kathmandu. We will give you a certificate which should be accepted by your insurance company, for any claims for extra expenses incurred in this way. If you are injured and unable to travel, you can ask for a rescue helicopter or charter flight from a remote airstrip only if you have definite proof you can pay for it. It costs more than US$ 2500 for a helicopter evacuation from 4000m near Mt. Everest and up to US$ 5000 for a rescue in the far west. All trek organizers, including Nepal Trek Ways, have an agreement in Kathmandu that guarantees payment for helicopter evacuations. We pay a cash deposit to the helicopter operator and collect the money from you once you have been rescued. It is then up to you to obtain reimbursement from your insurance company. Be sure your policy specifically covers helicopter evacuation. Also check that your insurance policy does not exclude mountaineering or alpinism or you may have a difficult time settling a claim. Although you will not engage in such activities, you may not be able to convince a flatland insurance company of this fact. There are a few reliable medical posts in the hills, such as the Himalayan Rescue Association (HRA) posts at Pheriche and Manang, and the Khunde Hospital which are all staffed by Western doctors. However, most accidents or illnesses will occur in the absence of reliable medical care. If you find yourself ill or injured in the mountains, here are the steps Nepal Trek Ways will take to rescue you. * Our guide and staff will try to treat first aid medication that is trained in Wilderness Adventure First aid course designed for Himalayan Guides. If high altitude sickness is suspected, we will descend with the victim immediately. Please make sure that one of our guide or staff always accompanies you to safe place. Safe place for high altitude sickness can be the last place where you had stayed or further down to make sure the safety. * For the more serious medical problems / severe Acute mountain sickness emergency helicopter rescues will be arranged by Nepal Trek Ways. * If helicopter exfiltration is possible, it may be necessary to transport the patient to a place where it is possible to land the helicopter. If you are trekking with Nepal Trek Ways we will arrange the rescue and initial payments, but the victim is responsible for reimbursing the cost of the flight which can be as high as USD 2500 per hour. Again, make sure you have insurance covering emergency helicopter rescue.